Wrapped this bar tape around my Specialized Amira, female specific bike. 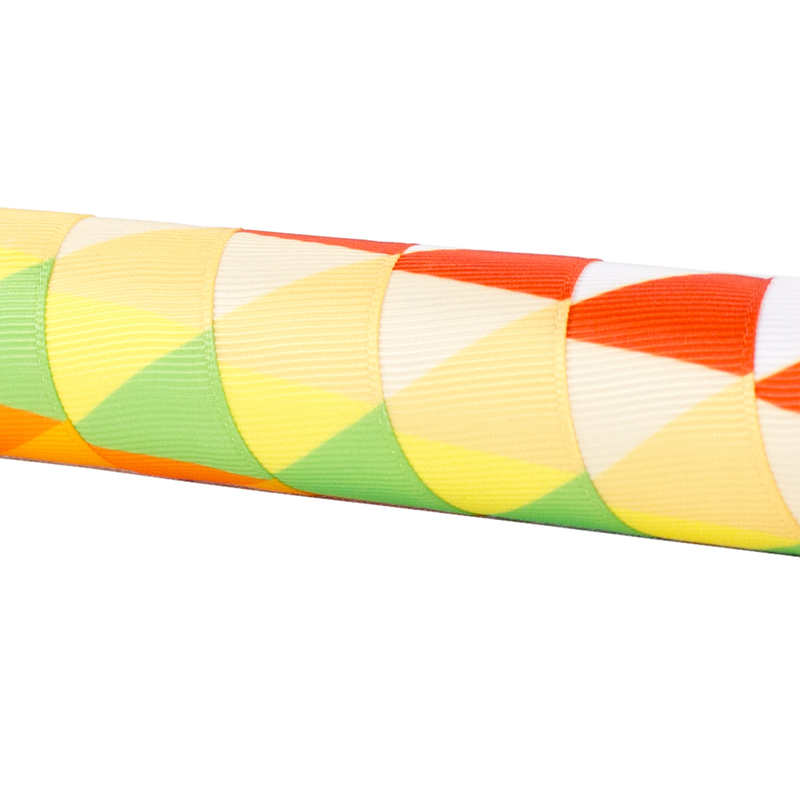 Love the different look and feel of this bar tape, makes you stand out! 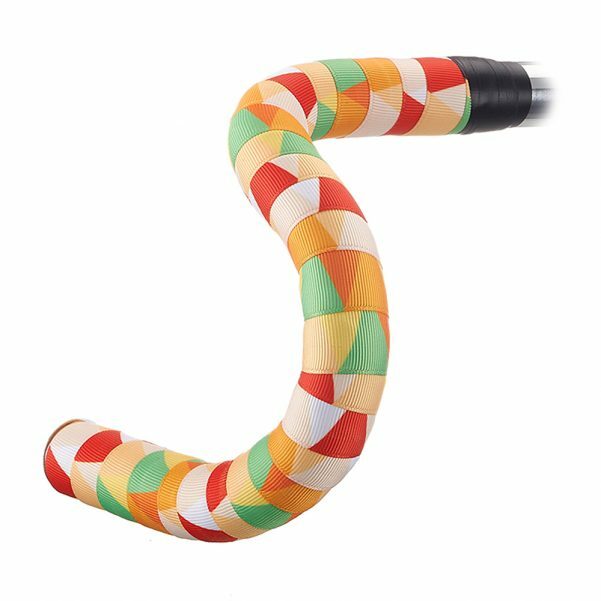 Only caveat: bar tape does not stretch, makes it difficult to cover the whole handle bar ( I ride a 48) … but I heard Serfas was working on a solution for that right away. Great buy if you go for this bar tape series. Will look to Serfas for my next bt purchase. I set out to complete the look of a bike. This one calls for light luminous colors, no racing jewel tones, no retro honey, no fluoro. After many hours of looking for bar tape, I find BT-29. Love at first sight. The multiple colors of the triangles harmonize so beautifully with the cream tires, Robin egg blue frame, and shiny silver parts. Even my imperfect wrapping adds a young triangles-don’t-quite-line-up cheer. Excited, I ignore the plasticky feel of the tape and the meager 1.3mm thickness. I am thrilled. The bike is complete! Serfas, I beg you to please make this tape grippy with dry or wet hands. And please continue to defy the industry by making fabulous designs with nuanced color palettes.